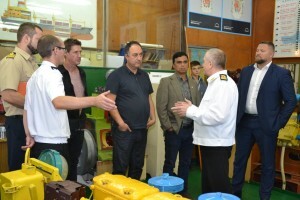 On 28 December 28 2018, the managing director of Marlow Navigation, Jan Meyering; the sea captain, general director of “Marlow Navigation Ukraine” Ezri Boris Mikhailovich; the Director of the Department of Education, Science and Youth of the Kherson Regional State Administration Yevgeny Anatolyevich Krinitsky; the Deputy Chairman of the Trade Union of Maritime Transport of Ukraine, the Chairman of the Trade Union of the State Enterprise “Kherson Sea Trade Port” Valery V. Ternavsky visited Kherson State Maritime Academy and Kherson Maritime Specialized Training Centre. 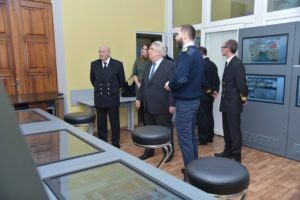 28 грудня 2018 року Херсонську державну морську академію і Херсонський морський спеціалізований тренажерний центр відвідали з візитом директор-розпорядник компанії «Марлоу Навігейшн» Ян Мейерінг; капітан далекого плавання, генеральний директор компанії «Марлоу Навігейшн Україна» Езрі Борис Михайлович; директор департаменту освіти, науки і молоді Херсонської обласної державної адміністрації Криницький Євген Анатолійович; заступник Голови Профспілки працівників морського транспорту України, голова профкому ДП «Херсонський морський торговельний порт» Тернавський Валерій Васильович. 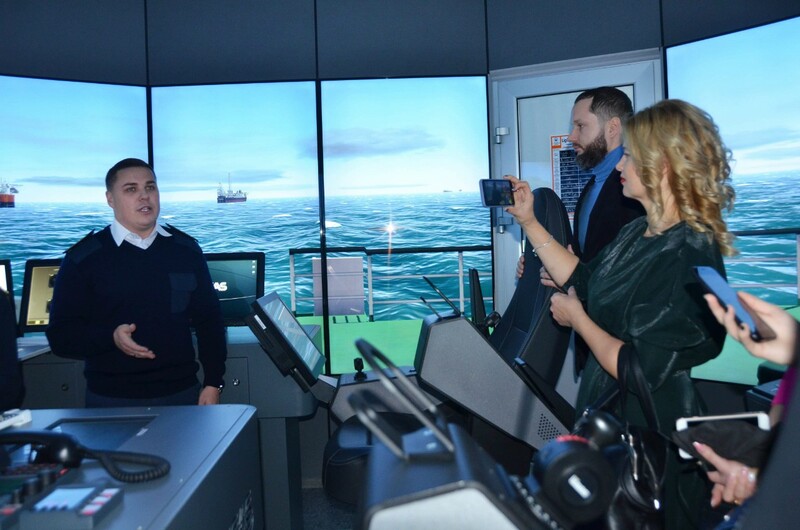 Today, 27 December 2018, the board members of the PO “Edinyiy Schit” with journalists from the “Investigative Journalists’ Centre” visited the Kherson Maritime Specialized Training Centre (KMSTC) and the Kherson State Maritime Academy. The guests got interested in realities of the joint work of the Centre and the Academy, and noted the high level of material and technical base of the KMSTC as well as the competence of the instructor staff. 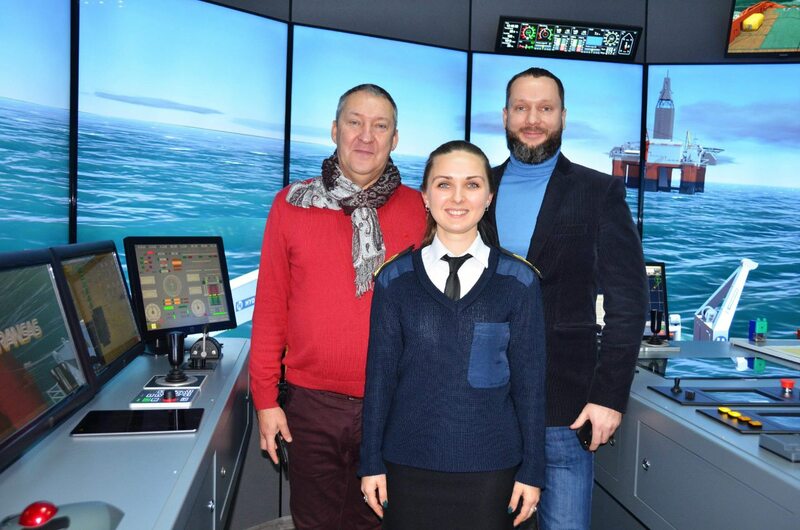 The involvement of the Centre in the training process of cadets ensures they will receive all the necessary skills and competencies in accordance with international requirements and standards that increase their competitiveness in the international labour market. 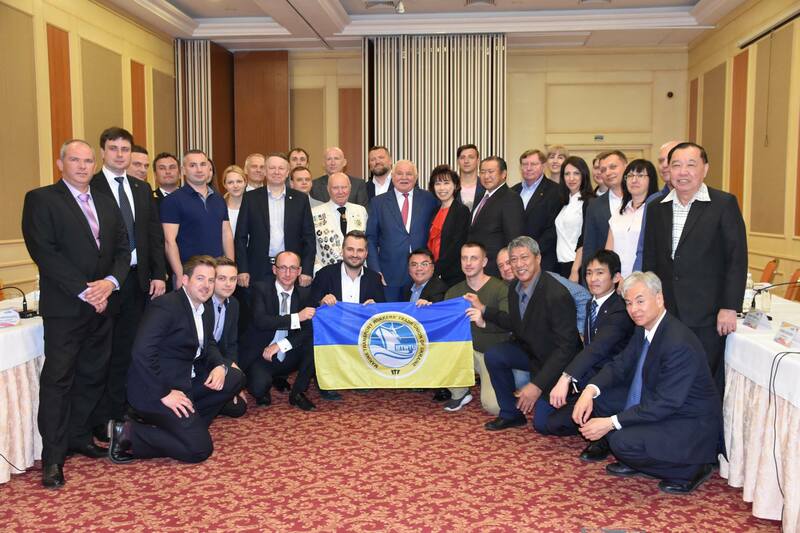 Сьогодні, 27 грудня 2018 року, члени правління ГО «Єдиний Щит» з журналістами «Центру журналістських розслідувань» відвідали Херсонський морський спеціалізований тренажерний центр (ХМСТЦ) і Херсонську державну морську академію. 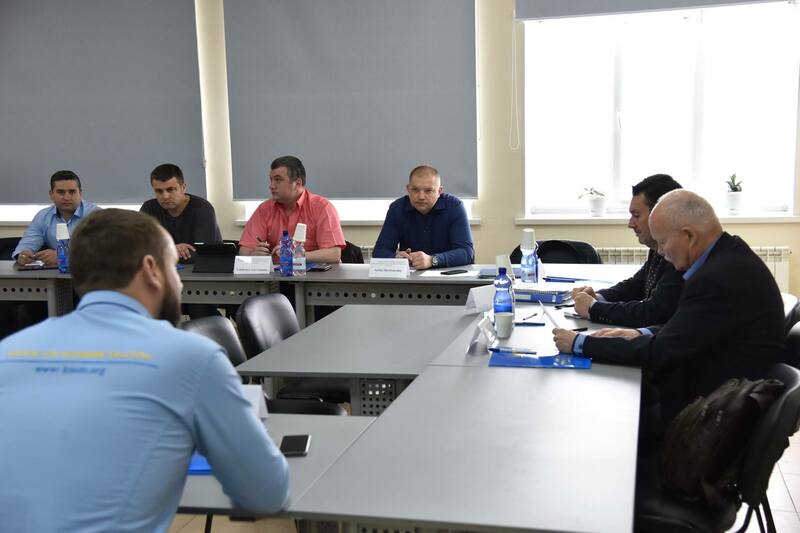 Гості, зацікавившись реаліями спільної роботи Центру та Академії, відзначили високий рівень матеріально-технічної бази ХМСТЦ, а також компетентність інструкторсько-викладацького складу. 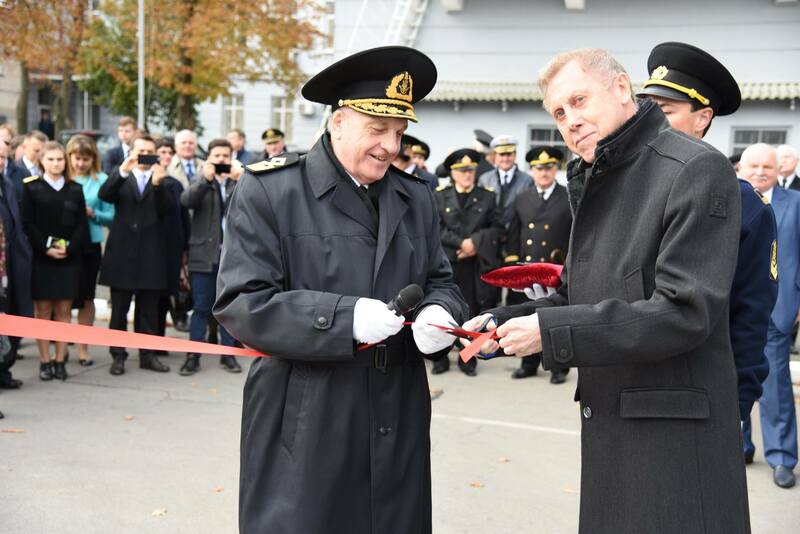 Залученість Центру в процес тренажерної підготовки курсантів забезпечує їм одержання всіх необхідних навичок і компетенцій відповідно до міжнародних вимог і стандартів, що, в свою чергу, підвищує рівень конкурентоспроможності на міжнародному ринку праці. 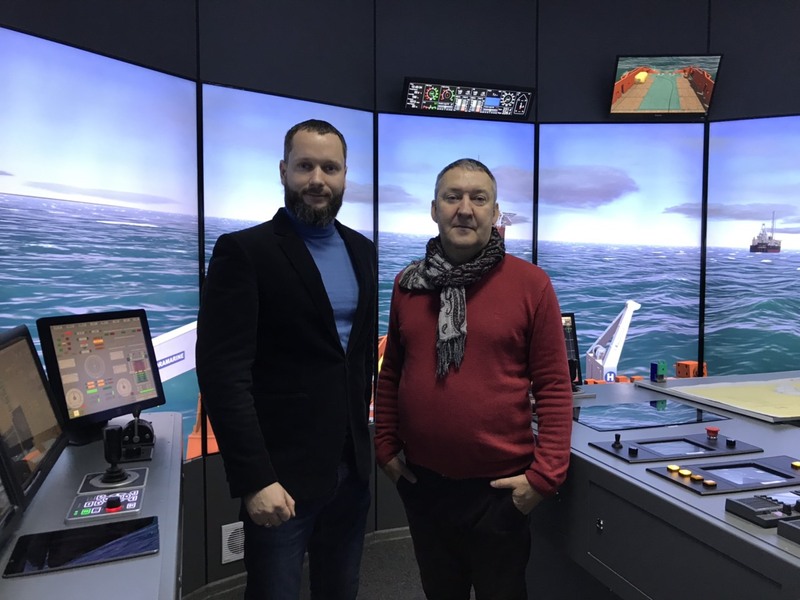 Starting 2019, it is now possible to obtain the Digital Delivery BOSIET (Code 5703) at Kherson Maritime Specialized Training Centre. 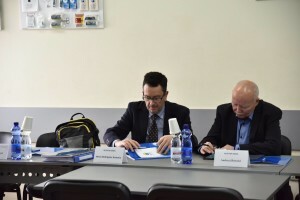 All theoretical materials are studied online, from anywhere in the world, using smart-phones, tablets, laptops or PC. 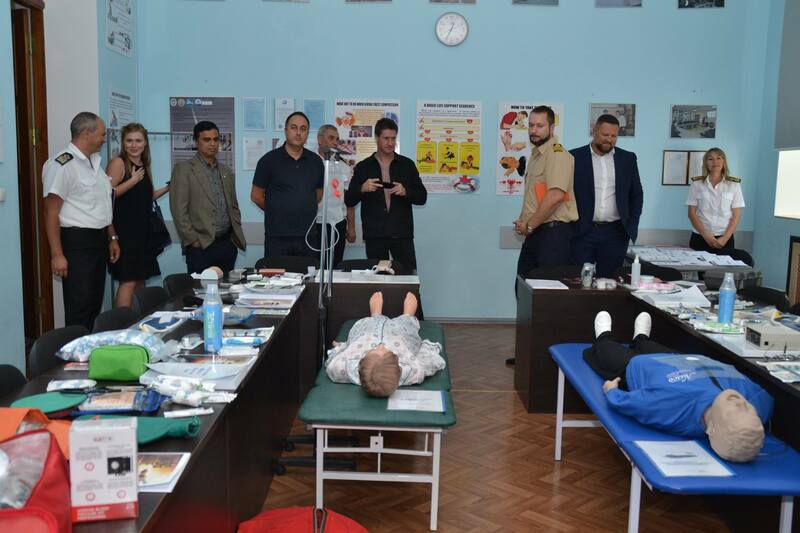 You will only train for 1 day in the training center to get OPITO approved certificate. 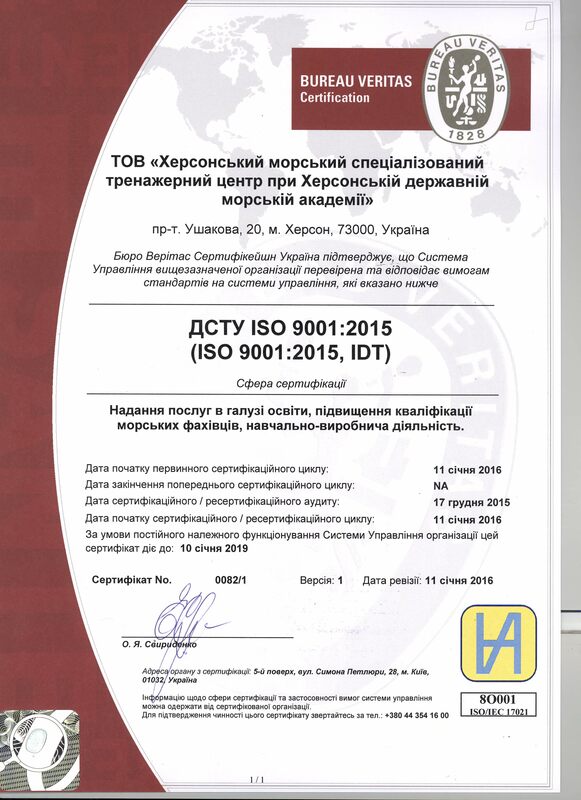 З 2019 року, на базі ХМСТЦ з’явиться унікальна можливість пройти курс OPITO BOSIET за допомогою електронного онлайн навчання – OPITO BOSIET Digital Delivery. 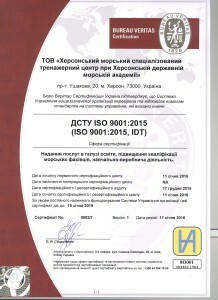 Вся теоретична частина вивчається дистанційно. 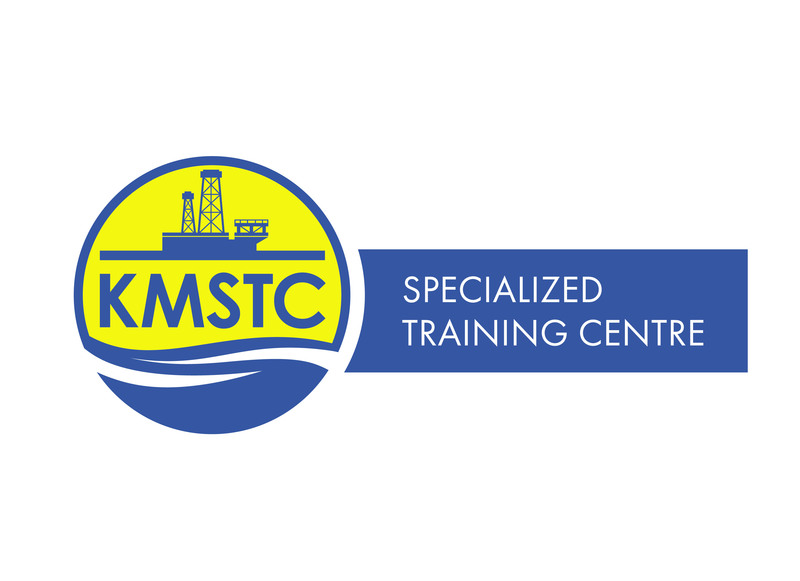 KMSTC pleased to inform, that in September 2018 “Open Water Diver” course starts. 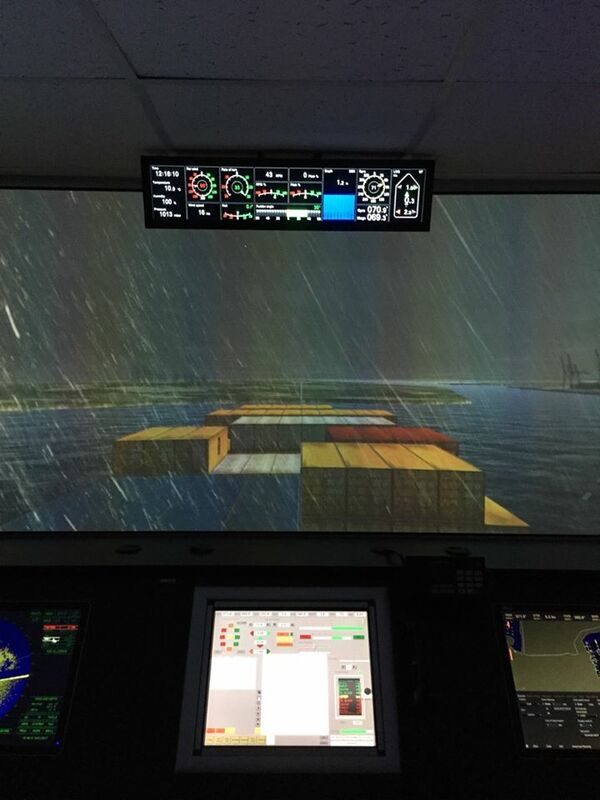 Current course is basic for diving training in SSI system. 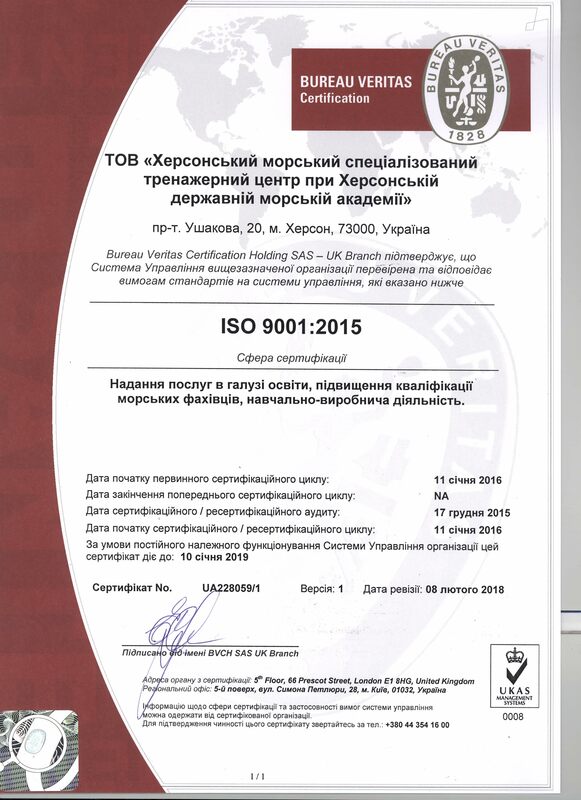 OWD diver certificate allows to dive all over the world with SSI`s certified partner till 18 meters deep. 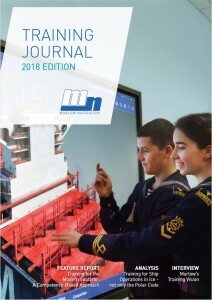 With pleasure, we would like to represent the latest version of Marlow Navigation Training Journal 2018. 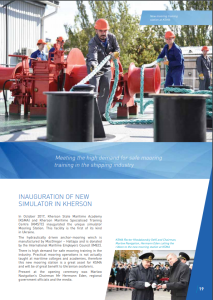 Many different articles from industry including KMSTC / KSMA news and Center Manager Capt. 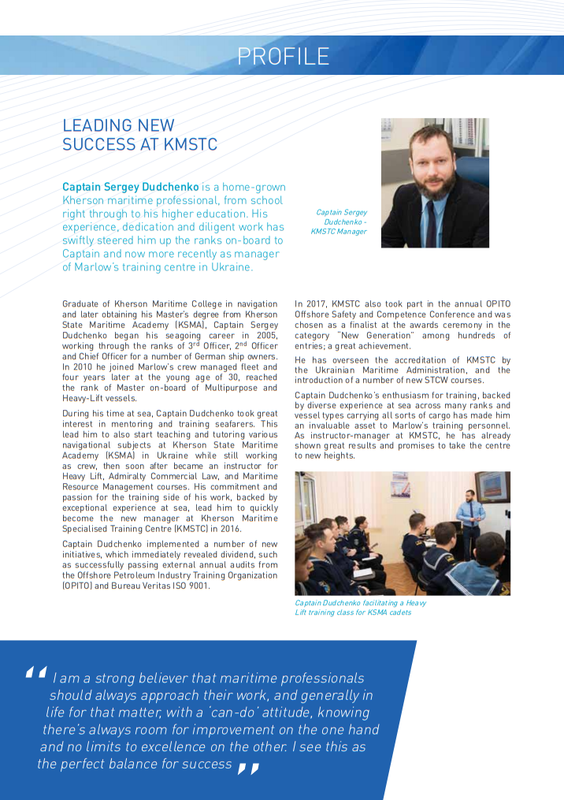 Sergey Dudchenko profile. Херсонський Морський Спеціалізований Тренажерний Центр при Херсонський Державній Морській Академії з радістю представляє про вихід останнього Тренінг Журналу 2018 від компанії Марлоу Навігейшен. Багато різноманітних статей пов’язанних з індустрією включаючи ХМСТЦ / ХДМА новини, а також стаття про керівника нашого тренажерного центру Капітана далекого плавання Дудченко Сергія Валерійовича. 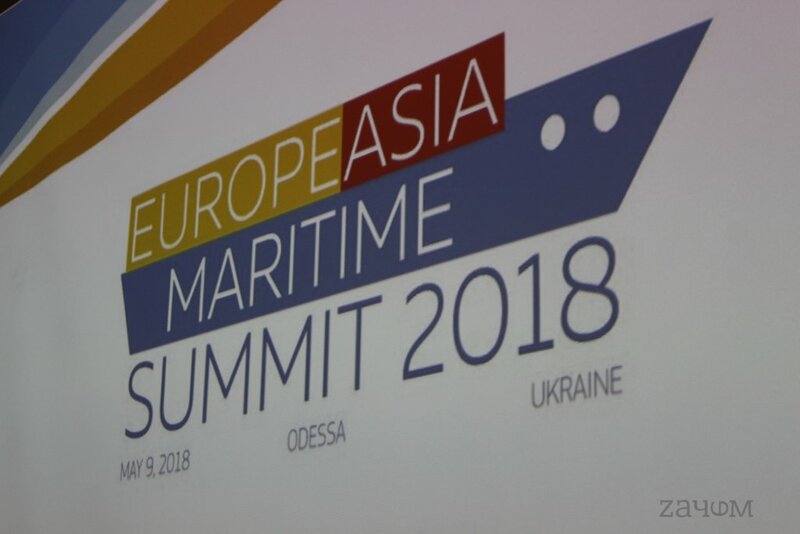 10th of May 2018 in Odessa, for the first time, was held the European-Asian maritime summit organized by the Marine Transport Workers` Trade Union of Ukraine. 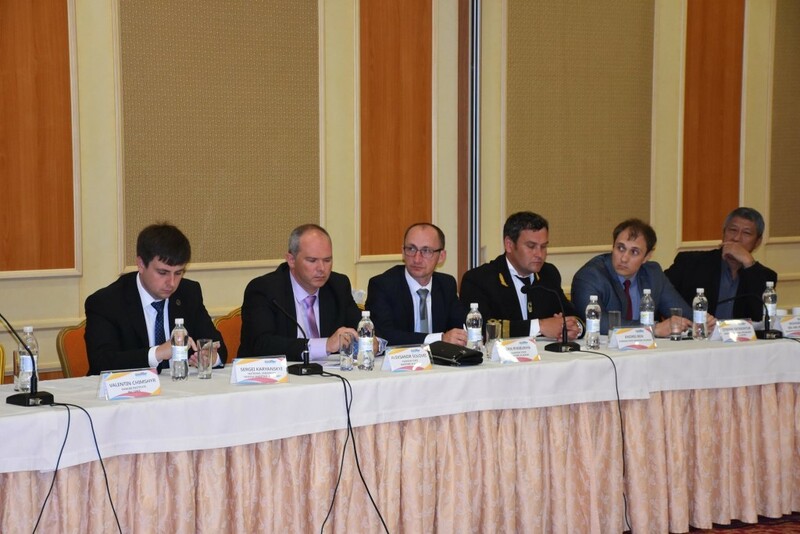 The representatives of the ITF, Japanese and Singapore maritime trade unions, Kherson State Maritime Academy and KMSTC also took part in the Summit. 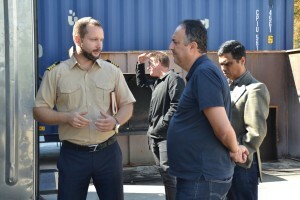 The main discussions were about training and employment of the seafarers. Foreign delegates underlined that today Ukraine is one of the leader on the worldwide seafarers` employment sector. 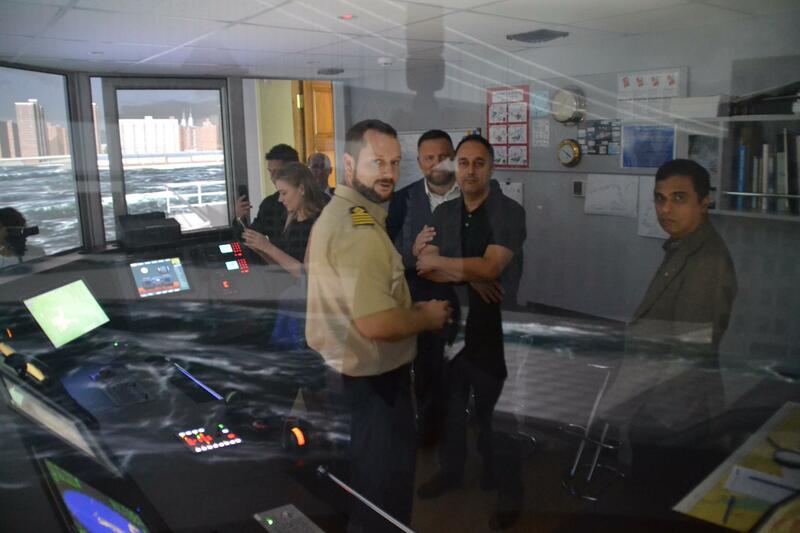 AUDIT OF THE EUROPEAN MARITIME SAFETY AGENCY. 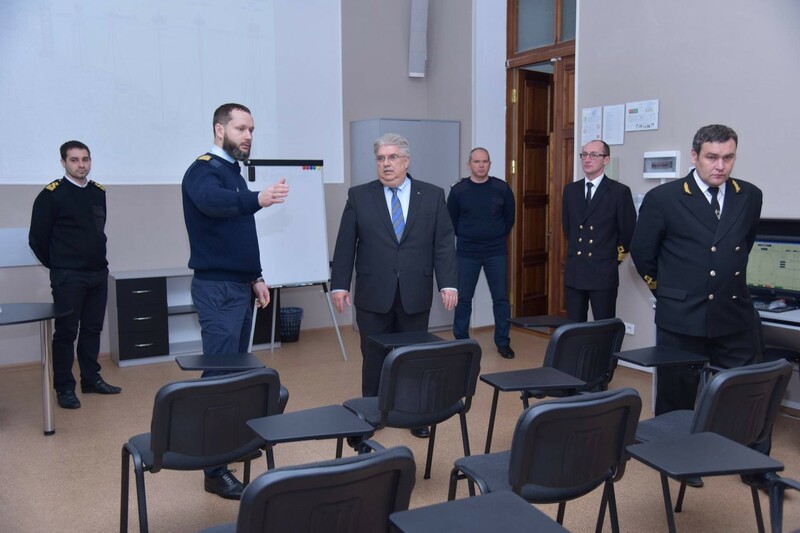 Kherson Maritime Specialised Training Centre at Kherson State Maritime Academy (KMSTC at KSMA) has been audited by representatives of European Maritime Safety Agency (EMSA) Hevia Rodrigues Antonio and Andrzej Batycki on 16 of April 2018 in line of Ukrainian National Planned Audit. Methodology of audit was arranged through investigation of working processes in accordance with analyses of Quality Management System (QMS) of organisation according with of STCW requirements. 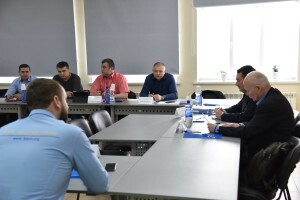 After completion of the hard day the auditors conducted the close out meeting, where summarized the results of the audit and provide information regarding KMSTC at KSMA QMS procedures and processes implementation. 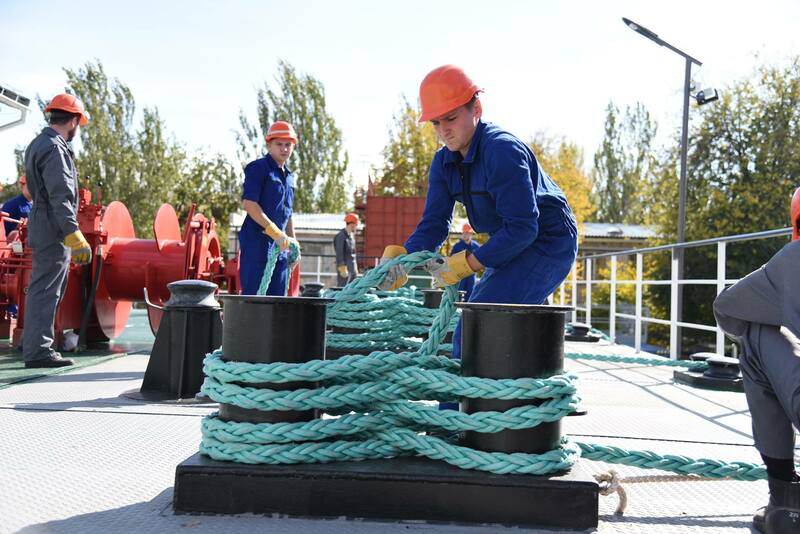 September 2018, DIVING TRAINING CENTRE at Kherson Maritime Specialised Training Centre at Kherson State Maritime Academy. SSI program (SCUBA SCHOOLS INTERNATIONAL) – OWD (OPEN WATER DIVER). 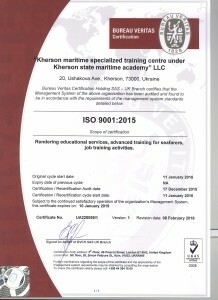 At 27 of December,2017 the Kherson Maritime Specialised Training Centre at Kherson State Maritime Academy successfully passed Audit BUREAU VERITAS ISO 9001. 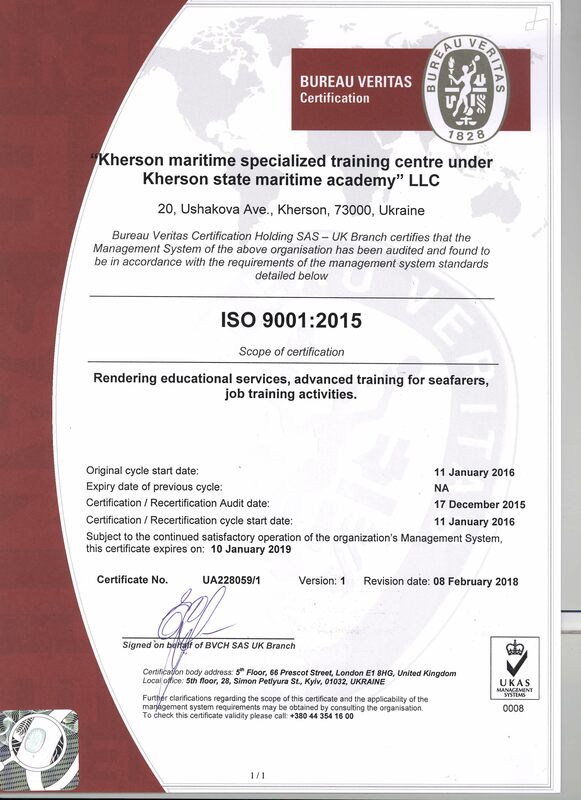 Bureau Veritas Certification Holding SAS – UK Branch certifies that the Management System of the KMSTC KSMA has been audited and found to be in accordance with the requirements of the management system standards ISO 9001:2015. Master / Pilot Relations Course. 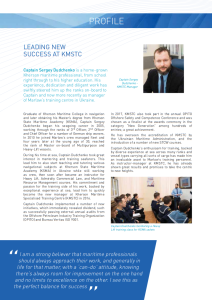 At the Kherson Maritime Specialised Training Centre at Kherson State Maritime Academy not first time, successfully passed Master / Pilot Relations Course from 30.01.2018 till 02.02.2018. Master – Pilot rapport and communication. On course attended with audit Capt. 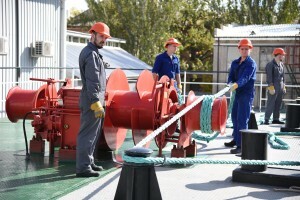 Graham Cowling superintendent from Marlow Ship Management Deutschland. Inauguration of new training rooms. On December 14, 2017, the inauguration of the unique study class-rooms: “Ship’s rigging shop” for designed to teach the future deck team and “Hydraulic work-shop room” for future engineer team was held at the Kherson State Maritime Academy and Kherson Maritime Specialised Training Centre. 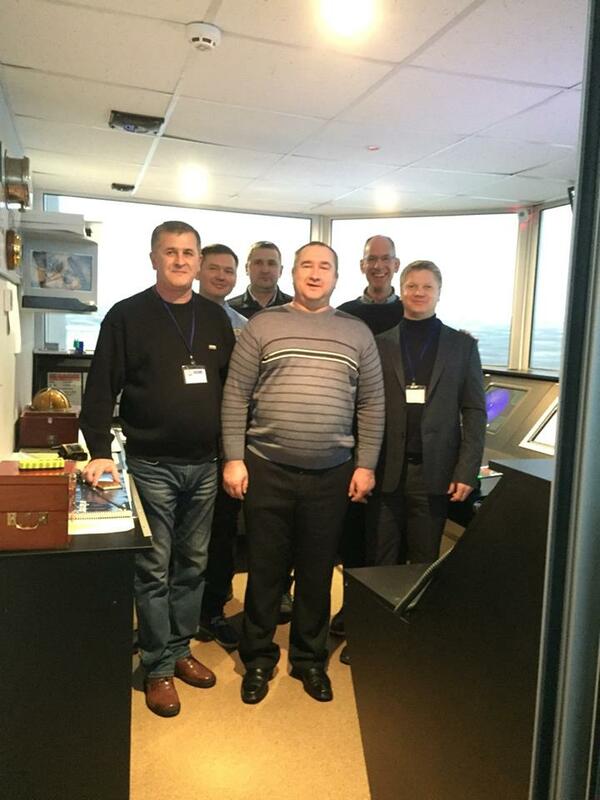 The opening ceremony was attended by: Jorn Clodius – Marlow Navigation Director, Martin Bankov – Marlow Navigational Training Manager, Ezri Boris Mikhailovich – General Manager of Marlow Navigation Ukraine, Grigoryuk Oleg Igorovich – First Deputy Head of PRMTU. 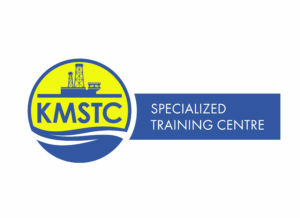 The High Appreciation of KMSTC KSMA. 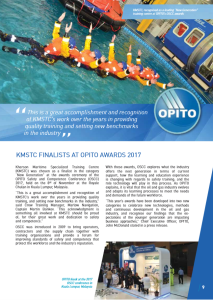 KMSTC KSMA has taken part in the annual OPITO Offshore Safety and Competence Conference 2017 on 08th November 2017 as well as in annual OPITO OSCC Award in New Generation nomination. 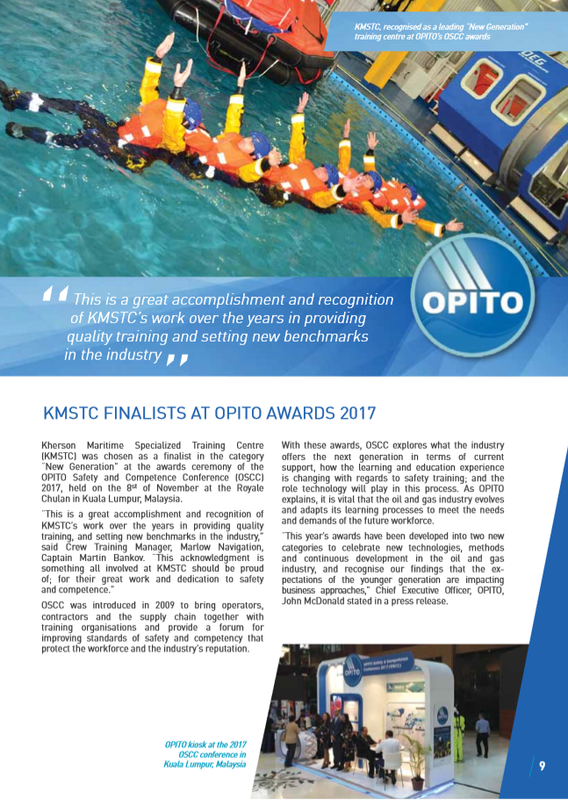 KMSTC was lucky to be short listed by OPITO judges in the above stated category as the finalist with other two training providers among other more than hundred training providers. Unfortunately, the prize has been judged to the Emirates Technical & Safety Development Center but nevertheless KMSTC had good opportunity to declare good names of KMSTC and KSMA worldwide, and become known widely. 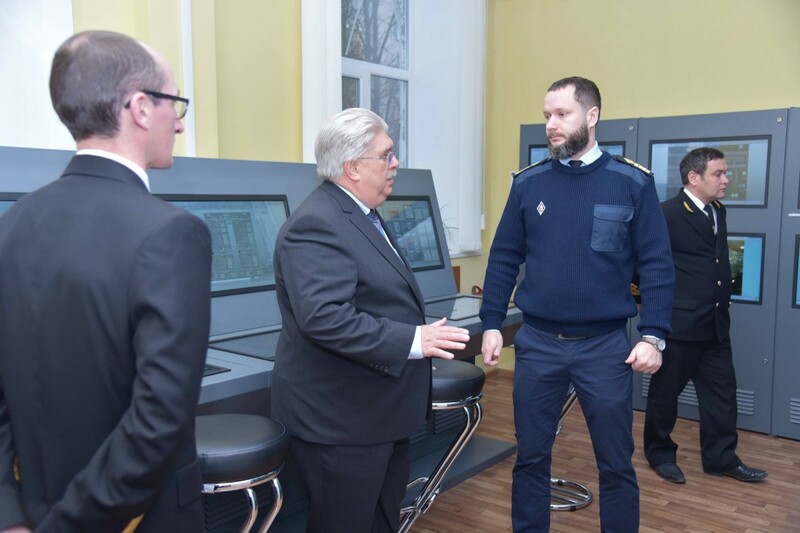 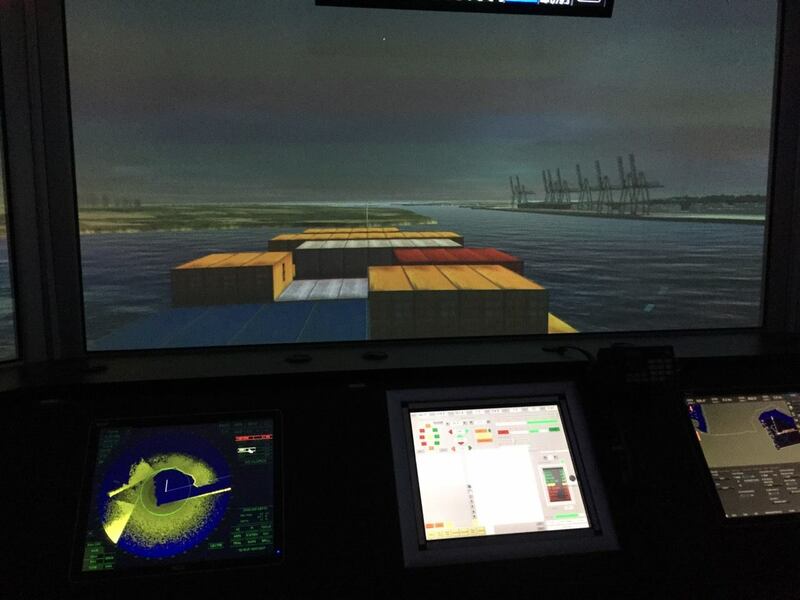 On October 14, 2017, the inauguration of the unique simulator “Mooring Station” was held at the Kherson State Maritime Academy and Kherson Maritime Specialised Training Centre in the presence of the president of the Marlow Navigation Crewing Company, Hermann Eden, regional leaders and representatives of the media. 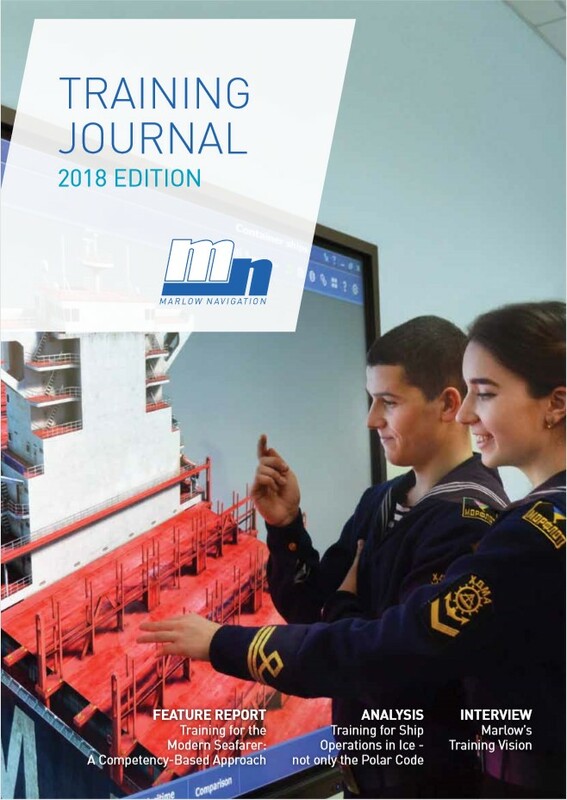 The peculiarity of the mooring station is the possibility of creating conditions close to the real ones, which facilitate concentration of cadets, better consolidation of theoretical knowledge and the formation of practical skills of safe mooring operations. 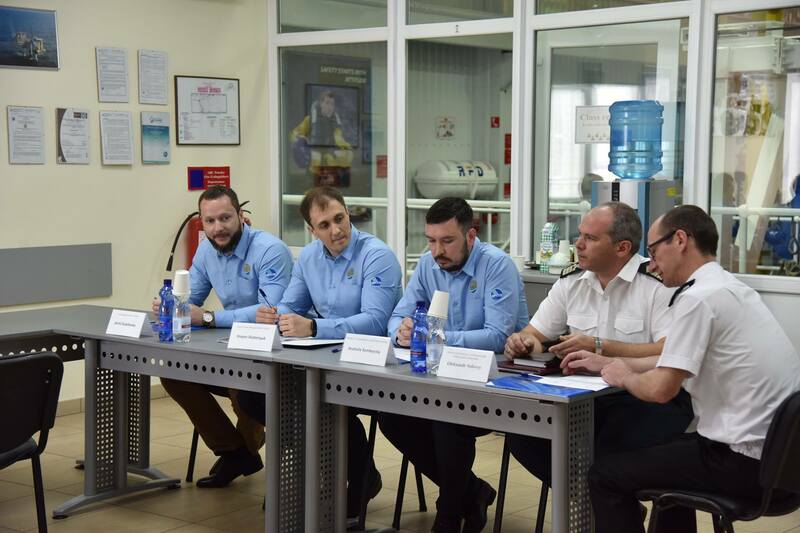 OPITO Safety and Competence Conference 2017, a winning team. 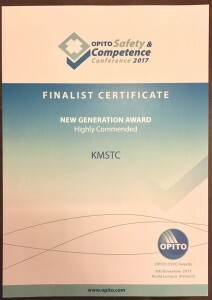 KMSTC has been selected as one of the three finalists in the New Generation Award category. Our shortlist has been announced for the OPITO Safety and Competence Awards 2017, a chance to celebrate the best examples of learning and skills development globally. 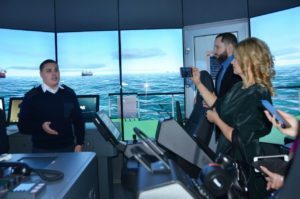 Collectively, the oil and gas industry has always strived to maintain the highest levels of training, skills and standards. This has been evident year after year at OSCC and the entrants for the 2017 awards have shown their continued focus over the last 12 months. 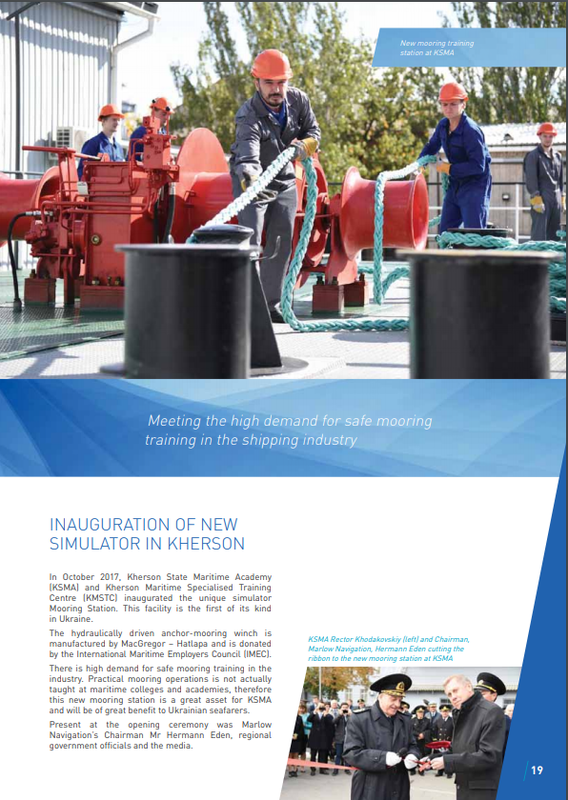 ERGT (Australia), INSTEP (Malaysia) and Wild Geese Group (Malaysia) are shortlisted in the New Thinking category, while ETSDC (UAE), KMSTC (Ukraine) and Wood Group Training (UK & New Zealand) have been shortlisted in the New Generation category. 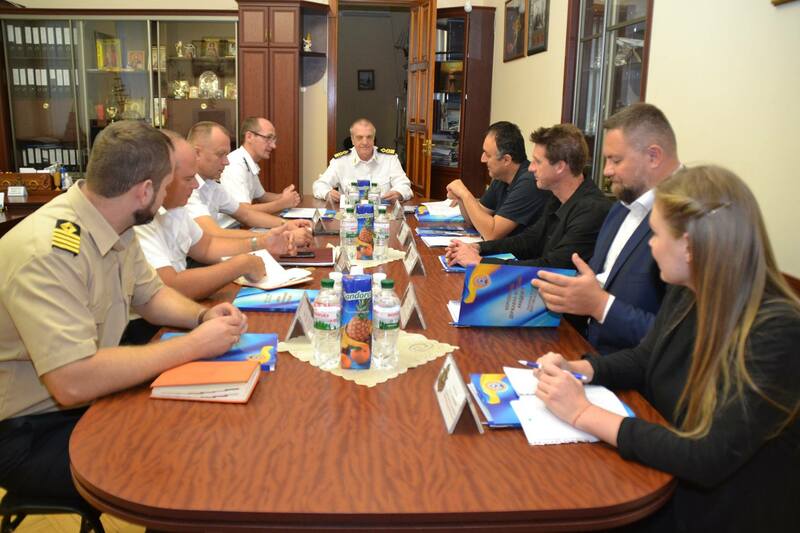 September 15, 2017 with a working visit to the Kherson State Maritime Academy and Kherson Maritime Specialized Training Centre visited the representatives of the International Federation of Transport workers and the Trade Union of Maritime Transport of Ukraine.